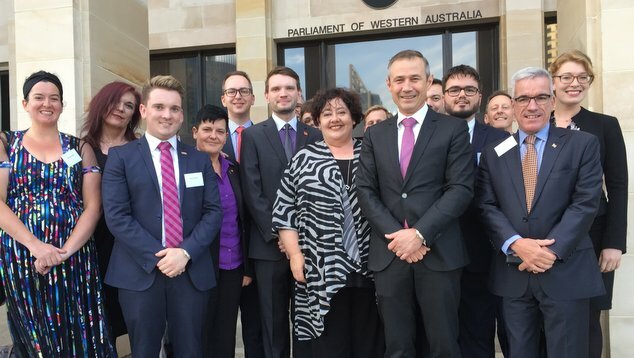 The Western Australian government has announced it will be providing $120,000 for the development of a LGBTI health strategy. Co-ordinated through the Department of Health, the strategy will provide a framework to raise awareness of the specific health and mental health challenges of LGBTI people. The funding will be used to engage relevant stakeholders and support the community consultation and engagement process. Health Minister Roger Cook said the government was committed to making sure health services were targeted to individual groups. “The McGowan Government is working to make targeted services available for the LGBTI community in areas of high priority, with a particular focus on education, mental health, health and policing.” Cook said. 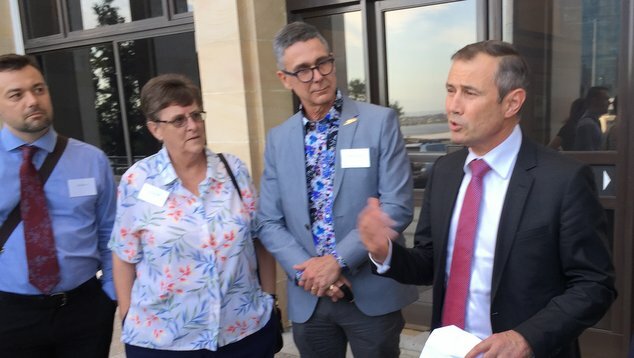 The Health Minister alongside Parliamentary Secretary Alanna Clohesy MLC, revealed the new funding while welcoming members of the LGBTI community to the annual Pride in Parliament event on Wednesday evening. Speaking to OUTinPerth Alanna Clohesy said that it was important to clearly identify where resources could best be focused. “While we know that while LGBTIQ people live happy lives, and our generally healthy, we also know that for a range of factors they are over represented in mental health outcomes, and other health outcomes. “What we hope the strategy will do is look at what those particular needs are and provide us with a framework to provide better services in health and in mental health. “What we also know is that the LGBTIQ community is not homogeneous, so they are very specific health needs and support needed to be healthy and stay healthy. “The money will be used to consult with the community and identify those very specific needs.” Clohesy said. Health Minister Roger Cook said the study would allow the government to ensure it was allocating resources in the most effective manner. “It’s about how you allocate your resources, where you configure the services not only geographically, but also to meet the needs of the community, which might be throughout your health services area. “This is about getting a better idea of where those needs are, and making sure the resources chase that. “The first step is understanding what the needs are, the second step is seizing the resources and pointing them in the right direction. Roger Cook noted that many of the services that are needed to improve the health and well-being of LGBTIQ people already exist, but it is essential to make sure that people are aware the services, and the services are accessible. “The McGowan government wants to put patients first, and one of the key ways we do that is to find out where the gaps are, and some of those gaps are obvious.” Cook said citing Aboriginal communities as an example. In announcing the availability of the new funding the government highlighted it’s existing commitments to supporting LGBTI health, including support for transgender youth. This includes a gender diversity service that provides children and adolescents up to 18 years old with a multidisciplinary approach to the assessment, care and, treatment (where appropriate) of issues relating to gender dysphoria and gender identity. Transgender youth are also being supported through a gender diversity assessment and consultation service at YouthLink.